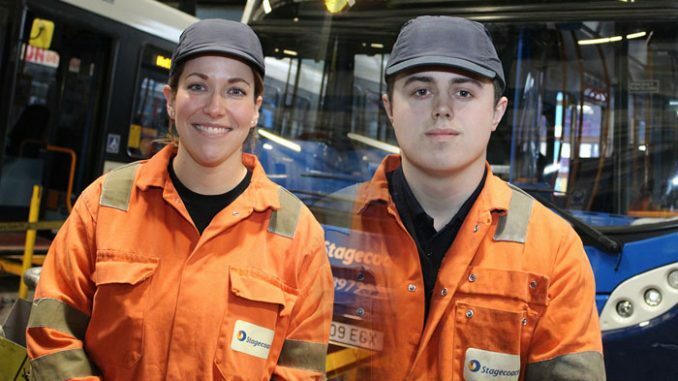 Two keen young engineers have taken the first step towards a career in engineering after being selected to join a four-year apprenticeship with Stagecoach North East. The local bus operator has just appointed the two apprentices to train at its Teesside depot in Stockton. The apprenticeship offers a combination of block release training to achieve the Technical Certificate in Bus and Coach Engineering Maintenance, and on the job training at the local depot. 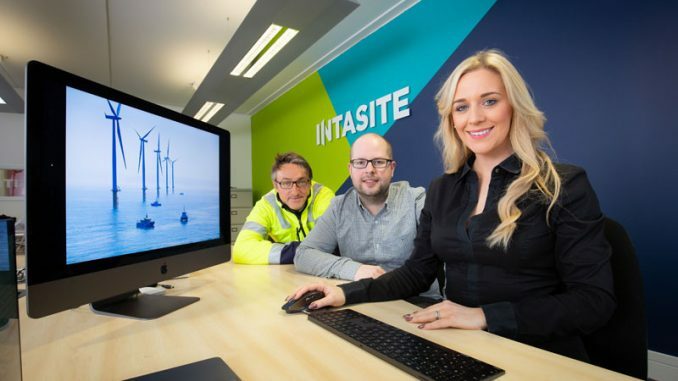 Having moved from Texas in the US ten years ago, 33-year-old Ashley Lane, now living in Darlington, is the first in her family to step into the world of engineering. Previously an office administrator, as well as working in the retail industry, Ashley wanted to take a big chance and set her career in a completely new direction. 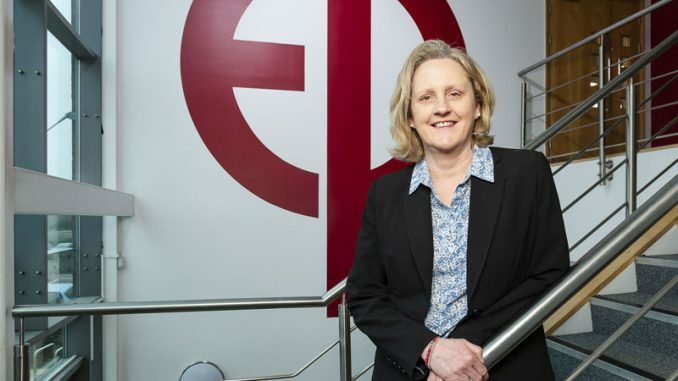 As she was interested in engineering, she considered taking a leap into the unknown and now plans to develop her vocation as a mechanical and electrical engineer. Ashley said: “I don’t have a background in engineering, but I’ve always enjoyed problem solving, getting stuck in and making things work. I come from a long line of hands on, ‘do it yourself’ women and have a natural inclination towards this type of work. “I had begun to feel like it was too late to start over and retrain but when I found this apprenticeship opportunity with Stagecoach, it looked ideal for changing careers, so I went for it! “My new colleagues and fellow first year apprentice, James, have been incredibly helpful and welcoming. Engineering most definitely runs in the family for new apprentice, James Liddle, as his Granddad and Great Uncle worked at diesel engineering manufacturer Cummins, and the 19-year-old from Darlington is following in his family’s footsteps. After studying science and sports studies at Queen Elizabeth Sixth Form College, James tried to secure an apprenticeship but unfortunately with no luck. He then considered a number of different career options and decided to pursue a BTEC Level 3 course in Engineering at Darlington Technical College. James said: “I am only a few weeks into the role and already I have changed a water pump and helped to strip an engine. The local bus operator offers apprenticeship opportunities in body or combined mechanical and electrical engineering and the apprentices will be spending the next four years gaining hands-on practical training while studying at college in Glasgow over eight one-week blocks, each year. 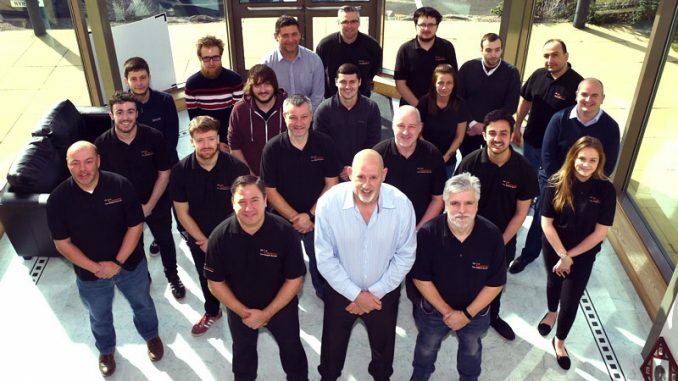 On successful completion of the training, the apprentices will be awarded the Bus and Coach Engineering Technician qualification and will then have the opportunity to become a licensed member of IRTEC (The Institute of Road Transport Engineers).